Besides the obvious signs of a broken antenna or dead battery, most two-way radios fail because they are poorly maintained. These devices use an internal reference oscillator to maintain frequency, but these oscillators drift over time, affected by aging electronics, battery power, temperature, environment, and mounting conditions. Eventually, the radio will fail. Keeping radios properly aligned should guarantee the best coverage and audio quality. The best way to ensure operational readiness of two-way radios is to perform preventative maintenance per the manufacturer’s recommended specifications. When your fleet has thousands of radios, it can be cost and time prohibitive to bring each one into the service bench for maintenance on an annual basis. Statistics have shown that 75-85% of radios in a land mobile radio network typically operate within specifications, meaning only 15-25% actually require immediate attention. The solution is LocusUSA’s DiagnostX long-range over-the-air radio waveform analyzer that analyzes all subscriber radios deployed in the field without any user intervention. It is an innovative approach to radio testing resulting in early detection of potential radio transmission problems, narrowband performance verification, and waveform analytics in trunked and conventional radio networks. 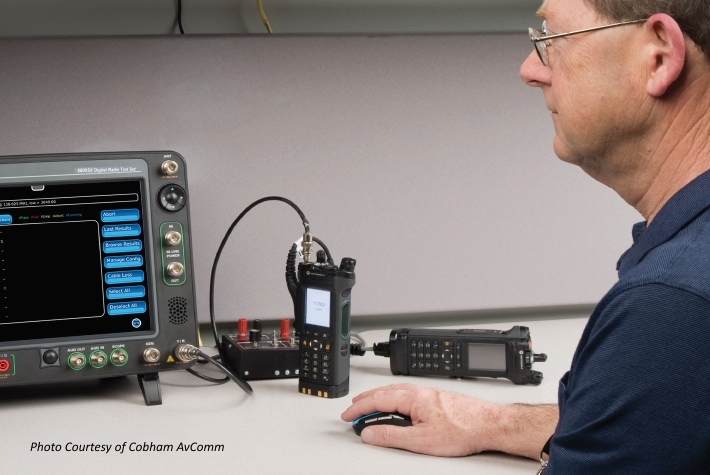 Measurements are compared to established thresholds to identify any indication of a poorly operating radio. The DiagnostX Viewer software allows the radio technician to review the captured metrics and proactively schedule repairs on a priority basis versus reacting to radios after they fail. By using over-the-air analysis to enable proactive preventative maintenance, DiagnostX ensures operational readiness and eliminates the likelihood of radios failing during an emergency, when they are needed the most.